Welcome to Linguis Europae, the EUC's language blog! Linguis Europae is dedicated to a range of topics involving official state, regional, and minority languages in the EU. Posts are written in five languages by UI students and faculty! Check back regularly for updates! 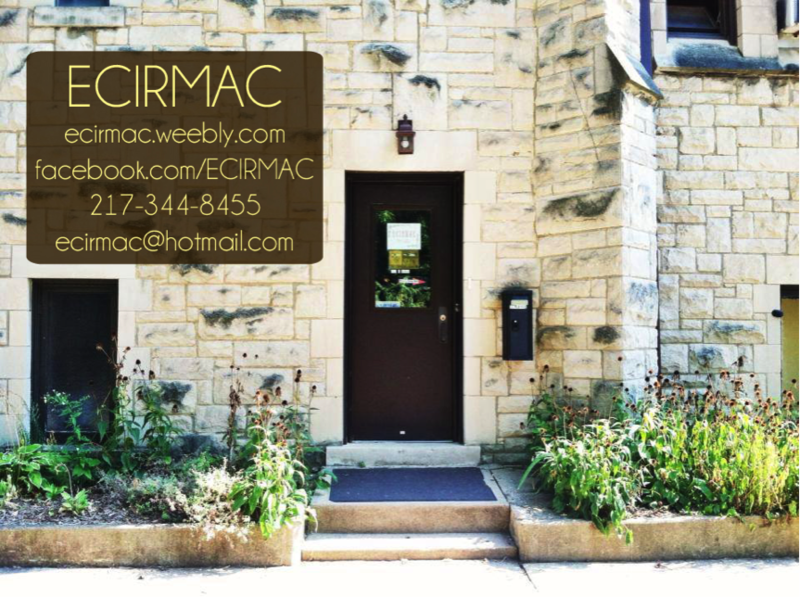 Skye Mclean discusses the East Central Illinois Refugee Mutual Assistance Center (ECRIMAC), which provides services essential to refugee and immigrant resettlement in East-Central Illinois and aids in the exchange and preservation of their respective cultures. 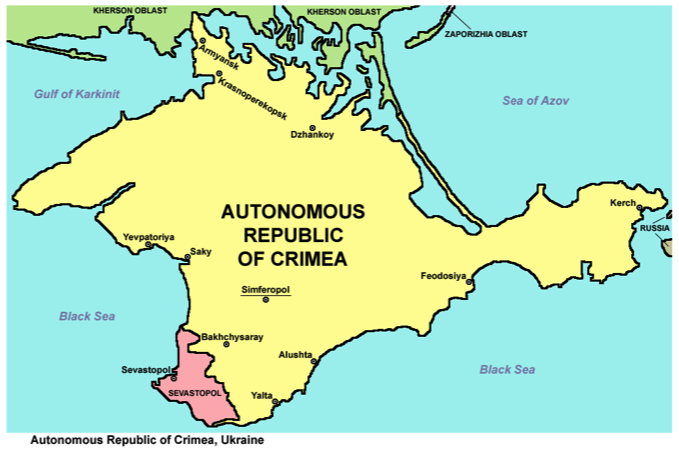 Senior Andrey Starosin offers his perspective on the current events taking place in Crimea. 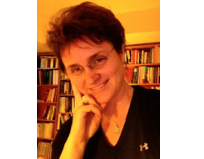 French Professor Revamps Course on "Language and Minorities in Europe"
Linguis Europae's own Zsuzsanna Fagyal and her course "Languages and Minorities in Europe" were featured in a recent issue of the School of Literatures, Cultures, and Linguistics. Kaitlyn Russell muses on her fondness for the Italian dialect, Bolognese. While Poland might be best known for its beer and many delicious flavors of pierogi, few of us are aware of the strong connection of the Polish people to their state language, Polish, which they call 'polszczyzna'. Tracing back the long and eventful history of Poland, we find evidence that explains this overpowering pride in the language that spreads across borders and seas. Poland has endured a very long journey of hardship in its struggle for independence. Although it seems unimaginable today, Poland did not exist as a sovereign state for over 120 years. Erased from the map of Europe, it was partitioned until 1918 between three Empires: Austria-Hungary, Germany, and Russia. Poland’s hard-fought independence was also short-lived after World War I and barely two decades later, the aggression against the Polish state by Nazi Germany in 1939 effectively signaled the beginning of World War II. Fears of falling under communist rule after World War II were, unfortunately, also justified: Poland had to wait for fifty years until its liberation was achieved with the fall of the Soviet-backed communist regime in 1989. Despite turmoil and repeated failures, Poland's vibrant culture has survived. Not only do the Polish people share a love for food, dancing, and indulging in celebrations during major holidays, both national and religious (with beverages provided at almost every event of course), but more importantly they share a love for their national language. ‘Polska duma’(Polish pride) is deeply rooted in the language, which is aided by the fact that Poland's population is ethnically and linguistically homogenous, with very little regional and dialectal variation. In addition, the Polish language and its dialects are still intelligible throughout the Western Slavic region and even abroad (Lesniewska and Mazur, 2008). While regional dialects within Poland may have some differences among them, these differences do not affect the perception of the unity of the Polish nation. It is commonly assumed that the Polish language keeps the people and the nation together. One is not surprised to hear that the languages is one of the main identifiers for all Polish citizens. Aside remembrances of the historical events that occurred throughout Poland’s tumultuous history, there is also legislation that further promotes national unity through the cultivation of the state language. The Polish Language Act, which was passed by Parliament in 1999, called for promotion and mutual respect across all regional varieties of the language, and set out to raise awareness of the language worldwide. With concrete foundations of cultural identity, there is no question that the Polish language, as an institution, remained intact despite the effects of globalization and emigrations. It is little known that Chicago, Illinois, is home to the second largest Polish population in the world, with Warsaw, the capital of Poland, ranking first. One might wonder how this large community managed to stay closely connected. Despite emigrating abroad, Polish migrants seem to stick to their deeply rooted cultural traditions that tied them together for many centuries and that they exported overseas. It is often said that Polish people moving to Illinois were drawn to the landscape that was similar to what they had left behind in Poland. They also saw great potential and opportunity with the boom of industrialization in the 20th century and the skills that they developed in their homeland. Polish migrants also hoped to achieve the "American Dream" and to find a more prosperous life before and after the fall of Communism in Poland. Thus Chicago became the home away from home for many Polish people. The migrants carried their cultural and religious values along: delicious food, musical influence, and most importantly their ‘polszczyzna’ and ‘Polska duma.’ With the growing population of Polish, called Polonia communities, came the rise of academic institutions for families to continue to educate their children on their history and mother tongue. Dancing, singing, beer, kielbasa, and pierogi are superficial tokens compared to the continuity and success of the linguistic traditions that keep people unified by creating a tight-knit Polonia community thousands of miles away from the motherland. Just like the first line of the national anthem says: "Jeszcze Polska nie zginęła" ("Poland has not perished yet"), Poland's national pride continues with the spread of ‘polszczyzna.’ If history is of any indication, it will not be in danger of extinction any time soon. Lesniewska, J. and Mazur, Z. 2008. “Polish in Poland and abroad”, In Extra, G. & Gorter, D. Multilingual Europe: facts and policies, Berlin, New York: Mouton de Gruyter, 111-134. Jacqueline San Diego was a senior double majoring in Global Studies and Spanish at the University of Illinois. Jacqueline was planning on becoming a Foreign Service Officer for the U.S. Department of State, and was interested in traveling the world and learning about different cultures and languages when she wrote this text in 418, ‘Language and Minorities in Europe’. The Republic of Georgia on the Eastern rim of Europe is unique in its language and dialect diversity, in addition to being home to many minorities and minority languages. With a population of about 4 million, Georgia is home to more than a dozen languages. The official state language is Georgian. It is a literary and written language shared by multiple subgroups of other languages like Svans, Mingrelians and Laz that belong to the same group of Kartvelian languages as Georgian. The other ethnic groups in the country include Azeris, Armenians, Russians, Ossetians Yazdis, Ukrainians, Kists, and Greeks. The country’s multilingualism is largely a result of its history that evolved from disparate kingdoms first united under Bagrat III into a single state in 1008. A successor state of the Soviet Union, Georgia has been an independent state since 1999 and a member of the Council of Europe. 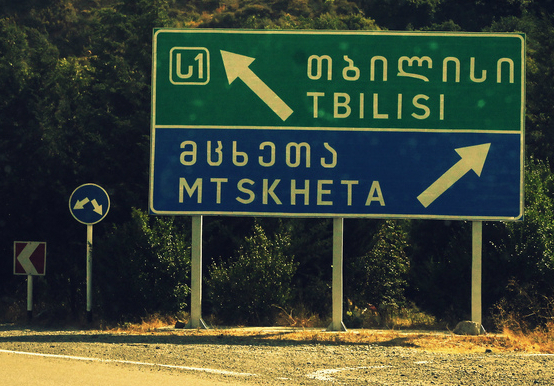 It is home to sizable immigrant communities and multiple dialects within its own borders, but Georgian remains the sole official language of the state. When Georgia joined the Council of Europe in 1999, the state’s historically homogenous approach to language policy appeared to have been counteracted by its willingness to sign the European Charter for Regional or Minority Languages (ECRML). However, unlike neighboring successor states like Armenia that signed and ratified the ECRML in 2002, Georgia has not ratified the Charter to protect its unique linguistic diversity in coordination and consultation with the Council of Europe. Historically, Georgia has always been at the crossroads of great empires. It was dominated by Persians, Arabs, Turks, and most recently by the Soviet Union. 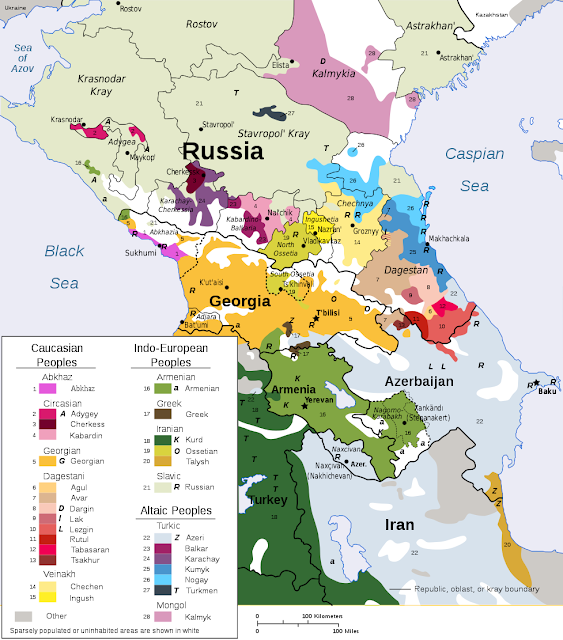 In addition to dialectal diversity arising from these historical contexts, Georgia is also geographically situated in a linguistically and ethnically rich and distinctive region in the Caucasus. The country borders Russia to its north (specifically the North Caucasus region of Russia), and Armenia and Azerbaijan to its south and southeast. North Caucasian languages are equally if not more linguistically diverse. The Caucasus are a mountainous region. Indeed the North Caucasian mountain range serves as a natural border, also called isogloss, between languages of the North and South Caucasus. Georgian is the largest language in the Kartvelian language group, alongside Svan (largely located in the Svaneti (სვანეთი) region of Georgia in the northwest), Mingrelian (Samegrelo (სამეგრელო) region in the southwest of the country near Abkhazia) and Laz (a language primarily found in the West of Georgia and also in parts of Turkey). These languages are spoken in conjunction with Standard Georgian and speakers of Svan, Laz and Mingrelian are considered ethnic Georgians despite the fact that their spoken language is different than standard spoken Georgian and is not always mutually comprehensible. In other words, if one only understands Georgian, one will not necessarily understand Laz. Below is a map depicting the ethno-linguistic complexity of the North and South Caucasus, as described above. As the map illustrates, the region is home to languages within the Indo-European language group in addition to Kartvelian and North Caucasian languages. Dialects of the Georgian language itself vary regionally and this is a common phenomenon shared with most states which have a degree of ethnic and geographic heterogeneity. In the Republic of Georgia, these dialects are generally segregated by an East/West division. Due to the mountainous topography of Georgia’s north and northwest region, many of these dialects result from seclusion in which the Georgian language has been molded over time. In the East, the two main dialects of Georgian are Kakhetian (located in the Kakheti region) and Kartlian. 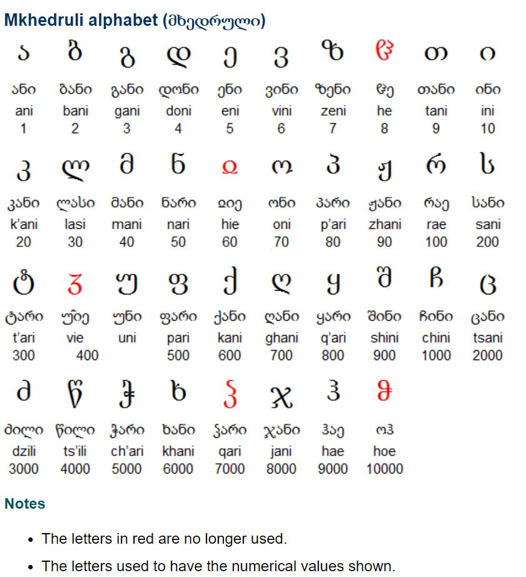 Georgian has its own alphabet: the so-called Georgian script. It has its origins in the foundations of Orthodox Christianity in Georgia from 337 onward. Later, the three historical alphabets have evolved into a single one, the so-called Mkhedruli alphabet that was originally used for secular, unofficial writing. Later it expanded and was popularized in commerce and trade. According to Omniglot, the first dictionary of Georgia was a Georgian-Italian dictionary written with the Mkhedruli script and published in 1629 in Rome, Italy. 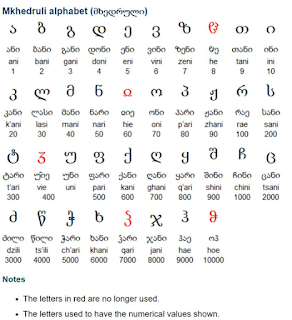 Today, this script is the sole alphabet used to write Georgian. The Georgian language moved through traditional stages such as low, middle and high Georgian and eventually developed into the form we see today. The language is known for its complexity, both in its verbal system as well in its pronunciation. 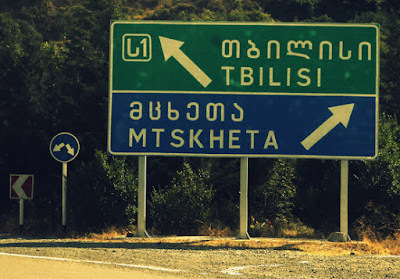 This is to say that while Georgian has a phonetic alphabet, it is notorious for its consonant clusters, rendering it difficult to pronounce in the beginning stages of learning. While Georgian is in its own distinct language group different from Slavic or Indo-European languages and has a distinct culture, it lays claim to simultaneously being a part of and apart from Europe. Though sharing a cultural history with Europe, primarily rooted in Christianity, Georgia also envisions itself as a crossroads between East and West with a distinct history and culture. This tension between a type of modernity associated with the West, and a strong need to preserve traditional Georgian culture and language norms may help explain the lack of real commitment to the European Charter for Regional or Minority Languages. It is, interestingly enough, quite obvious in the linguistic landscape – including road signs – throughout Georgia. Kathryn Butterworth was a graduate student pursuing a Master of Science in Library and Information Science at the iSchool when she wrote this text in 418, ‘Language and Minorities in Europe’ in spring 2017. Ask a random pedestrian on the street what comes to mind when you say the word France. Most likely they will come up with the Eiffel Tower in Paris and that answer would not be surprising. Although the newest statistics by the World Tourism Organization, a specialized agency of the United Nations, have not yet been published for 2017, the first regional results released in January indicate strong growth in Europe. France again is expected to be the most visited country in the world, with more than 80 million tourists last year. With so many people flocking to France from all parts of the world, it is worth remembering that speaking French can provide more than one enjoyable and eye-opening trip around the world. French can be used in France, Canada, Switzerland, Belgium, Luxembourg, Monaco and various countries in and many other parts of the world. Speaking French in a state where French is one of the official state languages will provide as many opportunities and exposure to speaking the language as English in the United States. Native speakers of English, let’s be honest: it would also be difficult to speak contemporary English, and even understand British and American culture, without taking the long history of influence from French into consideration. The other reason why learning French is a good idea is what I will call here ‘international appeal’. French is widespread around the world. The Agence Universitaire de la Francophonie is a network made up of 630 French language universities and over 350 French faculties worldwide, for a total of 120,000 professors and researchers (Fatunde 2012). In India, for instance, where universities are motivated by economic gain (Fatunde 2012), individuals who study French desire to be translators and bilingual secretaries for Francophone companies operating in India. Professor Raufu Adebisi of Ahmadu Bello University in Zaria, for instance, claims that the appeal of the French language in India is comparably high to its appeal anywhere else in African, including Nigeria, his home country. In fact, he claimed that most Anglophone countries in the southern hemisphere need bilingual employees to work for French companies as well (Fatunde 2012). In Africa, French is also associated with migration. In her article, "The smuggling of La Francophonie", Vigouroux (2008) explains that a new Francophone identity has emerged in South Africa in which speaking French is considered an asset acquired under specific sociopolitical and historical conditions. In that context, speaking French leads to social advancement and a way to improve life, rather than just acquiring an abstract identity. It is well-known that the official state language of France did not start out as a widely-shared local language. During the French Revolution, at the end of the 18th century for instance, 75% of French citizens did not speak French as a mother tongue (Fatal 2010). In fact, before the 19th century, French was utilized more in the Netherlands and Germany as a vehicular language of scientific communication than in some areas of France (Fatal 2010). Fast forward a century or so and the global spread of the French language has surpassed all but two other international vehicular languages in the world: English and Spanish. 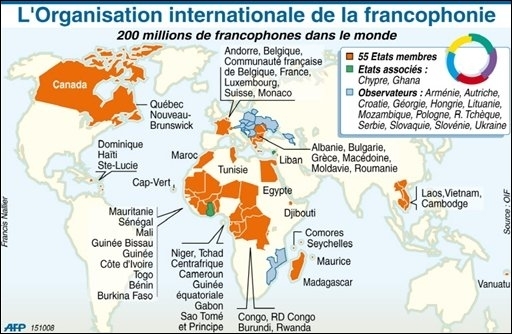 While this spread can be attributed to colonization and war, one important fact is that over twenty percent of Francophone speakers, including students and teachers, reside outside of francophone countries. As an official language, French is only second to English. Thus the international appeal of the French language is enormous and despite major setbacks has not faded since its emergence in the late 17th century. The number of French speakers has tripled since 1945 and this growth has not stifled ever since (Fatal 2010). The Organisation Internationale de la Francophonie estimated that the number of French speakers will rise to over 700 million by 2050 (FMFAID 2017), a growth fueled by economic and cultural expansion. France and other French-speaking countries play an active role in the world economy, accounting for some 20% of world trade in goods (FMFAID 2017). Being a francophone is an advantage on the job market, as well. French companies exist all over the world with headquarters in North America, Africa, and Europe. France’s economy alone is the fifth largest economy in the world (FMFAID 2017). Additionally, the French language is an official language of the United Nations, the European Union, NATO, and countless other international organizations giving it control over global governance. France is a key economic partner for any country that seeks economic and political success. French is also present in global communication. If you want, you can watch the French-language TV5 Monde for just a few dollars per months, here in the United States. The media channels TV5Monde, France 24, and RFI have a combined total audience of around 140 million people viewing and listening to these channels daily (FMFAID 2017). 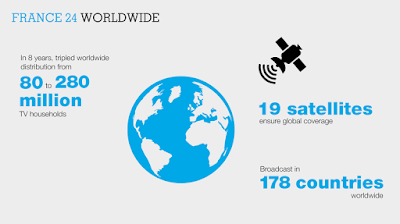 While television and radio are stars in the communication sector, the internet in French is the shining star. French is the third most widely used language on the Internet (FMFAID 2017). This means that people are using French as a lingua franca for digital communication, in addition to all other conventional types of communication. The ability to use French to receive alternative views of the world, is just another advantage of the language’s non-negligible global role. Fatal, H. (2010, June 6). 20 Surprising Fact About French Language. Retrieved April 08, 2017, from http://www.antimoon.com/forum/t16740.html. Fatunde, T. (2012, August 5). The expansion of the French language lies in Africa - University World News. Retrieved April 08, 2017, from http://www.universityworldnews.com/article.php?story=20120801162231952. French Ministry of Foreign Affairs and International Development, 2017. The status of French in the world. Retrieved April 08, 2017, from http://www.diplomatie.gouv.fr/en/french-foreign-policy/francophony/the-status-of-french-in-the-world/. French Ministry of Foreign Affairs and International Development. (2017). 10 good reasons for learning French. Retrieved April 08, 2017, from http://www.diplomatie.gouv.fr/en/french-foreign-policy/francophony/promoting-french-around-the-world-7721/article/10-good-reasons-for-learning. Vigouroux, C. B. (2008). "The smuggling of La Francophonie": Francophone Africans in Anglophone Cape Town (South Africa). Language In Society, 37(3), 415-434. doi:10.1017/S0047404508080561. When she wrote this text in 418 ‘Language and Minorities in Europe’ at the University of Illinois in spring 2017, Tanairy Delgado was a senior in Global Studies. She was planning on working for an international nonprofit organization after graduation and interested in applying to Law School in the future. “Cherish the values and the heritage that define your identity”, a notable quote said to the Kashubian people by Pope John Paul II, a quote that deeply resonates within a culture that has been pulled away from prominence and pushed into monotony. Looking back in time, the Kashubs, a people inhabiting Northern Poland in an area near the city of Gdańsk, have both been juggled between Germany and Poland during WWII and have had their culture diluted during post-war Communist times. During World War II, Poland was struggling to maintain its own identity and language. A whole nation was forced under submission by three different nations wanting more power and land to call their own. Polish and Kashubian were forbidden within what once was the nation of Poland. The consideration of ethnic groups was not a major concern, especially considering the fact that together with the Kashubs, minorities in Poland only constituted a total of 5% of the population during the time of the Second World War, a minimal amount. Therefore, priorities after the war were to try and regain a sense of what it meant to be Polish, with Standard Polish becoming the requirement to be a true Pole. The goal was mono-ethnicity, not cultural diversity, and “Kashubian culture…existed only as a subset of Polish folklore” (Rybińska 138). Discussing minorities was dangerous and considered a taboo, and as Poland was rising from its ashes, Kashubian was beginning to become extinguished. Near the end of twentieth century, after WWII and Communism, Poland was becoming more modern and urbanized, and inter-generational transmission of Kashubian was on the decline, as the youth of the time were focused on attaining a more successful life. Kashubian started to die out more rapidly, with mostly older generations speaking it. Yet again, it was not considered a priority, and the culture was boiled down to the folkloric memory of farmers and fishermen. Thus, the Kashubs have been stuck in a constant battle contending for the smallest awareness of their dire situation. The Kashubs were fighting for the recognition and support of their culture, their heritage, and most importantly, their identity. Years later, the Kashubs finally started winning this battle and became “perhaps the most powerful and most active of all Poland’s minority institutions” (Majewicz 154). Currently, there are around 500,000 speakers of Kashubian from Poland to the USA, and even in Canada. Linguistically, Polish and Kashubian stem from the same language branch (West Slavic). However, when looking at Kashubian one can see the heavy German influence on the language. For instance, the stress on a word falls on the second to last syllable (penultimate stress) in Polish, while in Kashubian the stress tends to land on any syllable. Kashubian stress is variable, and differs between the various dialects of Kashubian. There are also a couple of differences between the Polish and Kashubian alphabets. Kashubian lacks the Polish Ą, Ę, & Ź, and instead has Ã, É, Ë, Ò, Ô & Ù. It does not distinguish (or contrast) the Polish Z, Ż, and Ź. These sounds are more similar to those in German. 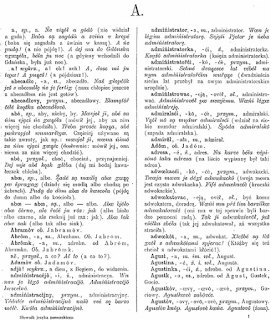 Kashubian also has a dual form, like Arabic, and it has more vowel contrasts than Polish does. Also, like German, Kashubian keeps its subject pronouns, whereas Polish is a pro-drop language that does not need to explicitly use its subject pronouns. (Znajkowski 23-36). For instance, the sentence ‘I’m going to the store’ can be translated in Polish as: “Ja ide do sklepu’ or in a simpler manner, ‘Ide do sklepu,’ without the first-person pronoun. Kashubian schools have even been created, with the opening of the first Kashubian secondary school in Brusy and a primary school in Głodnica in 1991. In 2005, there were 100 Kashubian primary schools with 8000 students and growing. Other schools also allow parents to request that their children be enrolled in a course that teaches Kashubian for three hours a week. Interestingly enough, Kashubian has found its way to the university level, where students who are studying Polish philology are required to take a course on Kashubian. In terms of power in government, the first Kashubian Congress fell apart in the 1950s. A second Kashubian Congress was thus established in June of 1992 in Gdańsk called “The Future of the Kashubs”, which organizes weekly events to help with the upkeep of the culture. The Catholic Church has also begun to support and even promote the Kashubian language by holding services in Kashubian and translating both the New and Old Testaments of the Bible. Kashubian has even become a protected regional language thanks to the National and Ethnic Minorities and Regional Language Act implemented by the Polish government, as well as Poland having ratified the European Charter for Regional and Minority Languages in 2009. This is without mentioning that hundreds of books have been published in Kashubian thanks to the Kashubian-Pomeranian Society, which includes handbooks that have been written about Kashubian orthography and grammar and Kashubian dictionaries that have been published as well. Most importantly, the Kashub youth are using the language to shape their identities. They are no longer avoiding and forgetting their language and their roots. Instead, they are promoting it by making it a part of who they are; a part of their identity. There is still much work that needs to be done and much maintenance that needs to be upheld to make sure the Kashubian language stays strong. However, it is worth noting that if the Kashubs can push through years of obstacles, then they can bring their language and their culture back from the shadows of mono-ethnicity. The Kashubs will not let themselves be dissolved into folkloric myths again. This bulletproof culture will thrive and promote diversity. It will fight as valiantly as its nation once did to reclaim its spot in the world. "Drodzy bracia i siostry Kaszubi! Strzeżcie tych wartości i tego dziedzictwa, które stanowią o Waszej tożsamości", to są znaczne słowa od papieża Jana Pawła II do Kaszubów. Ten cytat od Jana Pawła II głęboko rezonuje w Kaszubskiej kulturze, która straciła wartość i prawię zaginęła. Kaszubi, którzy mieszkają w północnej Polsce w pobliżu miasta Gdańsk, zostali rzuceni między Polską a Niemcami podczas Drugiej Wojny Światowej, jak również, podczas Komunizmu w Polsce. Podczas Drugiej Wojny Światowej, Polska zaledwie utrzymała swoją tożsamość i bardzo starała się utrzymać swój język i swoją kulturę. Całe państwo było zmuszone do poddania się przez trzy różne narody, które chciały więcej mocy nad światem. Język Polski był zabroniony. W pewnym momencie dumny kraj, o bogatych kulturach, przestał istnieć. Kaszubska kultura nie była brana pod uwagę, szczególnie że mniejszości w Polsce osiągnęły zaledwie pięć procent populacji ludności Polski. W tym czasie, priorytetem było wzbudzenie Polskiej kultury, języka Polskiego i narodu Polskiego. Kiedy Polska powstawała ze swoich popiołów, Kaszubska kultura zaczęła zanikać. Ponadto, po Drugiej Wojnie Światowej Polska znalazła się pod sowieckim komunizmem. Celem komunizmu było monoetniczność, a nie różnorodność kulturowa. W tym czasie, Kaszubska kultura była tylko “...podgrupą polskiego folkloru”(Rybińska 138), i niczym więcej. Rozmowa o mniejszości była tabu, a nawet przestępstwem. Kaszubska kultura szybko umierała. Pod koniec dwudziestego wieku, po Drugiej Wojnie Światowej i po komunizmie, Polska stała się bardziej nowoczesna i miejska. To był problem Kaszubów, ponieważ młodzież Kaszubska koncentrowała się na osiągnięciu lepszego życia, a nie uczenia się o języku i kulturze Kaszubskiej. W związku z tym, międzypokoleniowa transmisja języka Kaszubskiego zmniejszała się i tylko starsze pokolenia mówiło tym językiem. Ta kultura była znana tylko dla rolników i wędkarzy. Kaszubi utknęli w nieustannej bitwie o ich uznanie i tożsamość. Nadal istnieje nadzieja dla Kaszubów. W dzisiejszych czasach Kaszubi są jedną z “...najbardziej potężnych i najbardziej aktywnych Polskich mniejszości” (Majewicz 154). Po wielu latach, w końcu, udało się Kaszubom uratować swój język i kulturę. W obecnym czasie jest 500,000 mówców języka Kaszubskiego w Polsce, w Ameryce, i nawet w Kanadzie. Zostało otwarte wiele szkół Kaszubskich (pierwsze w Brusy i w Głodnicy w 1991 r.) w Polsce. W 2005 r. było ponad 100 szkół Kaszubskich i ponad 8000 studentów. Ta liczba wciąż rośnie. Rodzice mogą zapisać swoich dzieci aby były nauczone języka Kaszubskiego przez trzy godziny w tygodniu. Studenci które studiują Polską Filologię na Uniwersytecie Gdańskim muszą wziąć klasę o Kaszubskiej kulturze i o Kaszubskim języku. Pomimo to że pierwszy kongres rozpadł się w 1950 r, założono drugi kongres Kaszubski który był ustalony w czerwcu 1992 r. w Gdańsku. Został nazwany “Przyszłością Kaszubów”. Ten kongres organizuje spotkania i inne wydarzenia aby awansować kulturę Kaszubską. W 2009 r. Kaszubski stał się językiem chronionym kiedy Polska ratyfikowała Europejską Kartę Języków Regionalnych i Mniejszościowych. Rząd Polski stworzył prawo Mniejszości Narodowej i Etnicznej oraz Ustawę o Językach Regionalnych żeby chronić języki które szybko gasły. Gorter, Durk, ed. 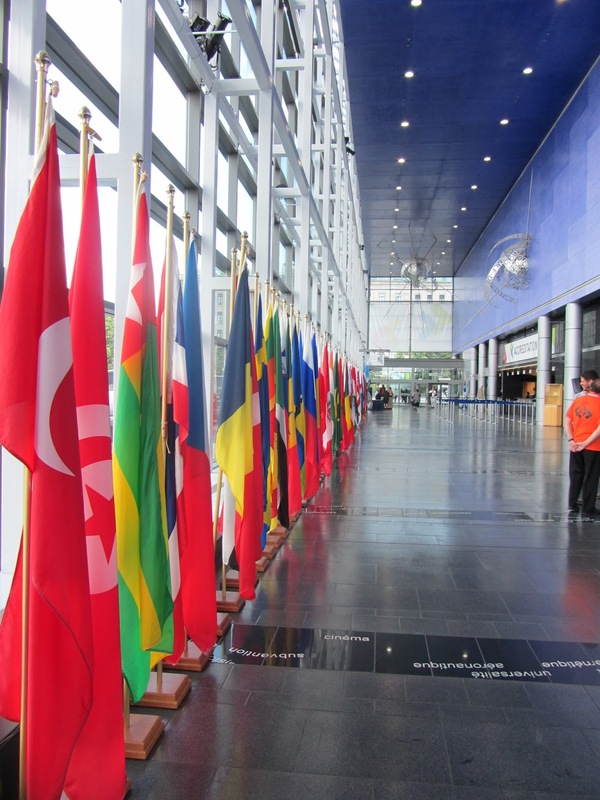 Fourth International Conference on Minority Languages: Western and Eastern European papers. Vol. 2. Multilingual matters, 1990. Jones, Elin Haf Gruffydd, and Enrique Uribe-Jongbloed, eds. Social media and minority languages: Convergence and the creative industries. Vol. 152. Multilingual Matters, 2012. 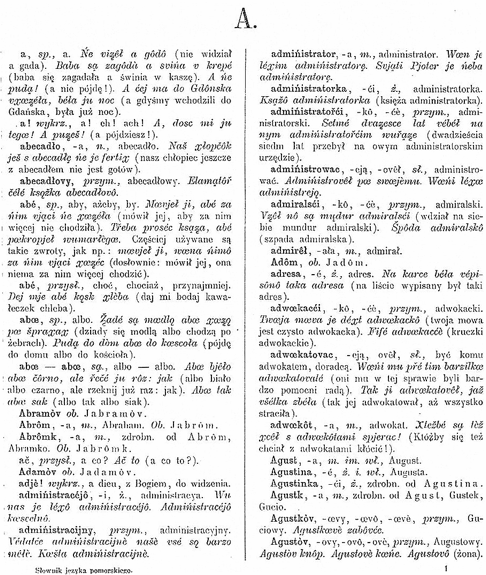 "Kashubian Language." Wikipedia. Wikimedia Foundation, 20 Apr. 2017. Web. 23 Apr. 2017. Majewicz, Alfred E. "Kashubian choices, Kashubian prospects: a minority language situation in northern Poland." International journal of the sociology of language 120.1 (1996): 39-54. Majewicz, Alfred F., and Tomasz Wicherkiewicz. "Minority Rights Abuse in Communist Poland and Inherited." (1992). Majewicz, Alfred F. "Minority situation attitudes and developments after the return to power of''post-communists''in Poland." Nationalities Papers 27.1 (1999): 115-137. Otwinowska, Agnieszka, and Gessica De Angelis, eds. Teaching and learning in multilingual contexts: sociolinguistic and educational perspectives. Vol. 96. Multilingual Matters, 2014. Trudgill, Peter. "Ausbau sociolinguistics and the perception of language status in contemporary Europe." International Journal of Applied Linguistics 2.2 (1992): 167-177. Znajkowski, Nick. "Language Contact in Pomerania: The Case of German, Polish, and Kashubian." Linguistics.as.nyu.edu. New York University, n.d. Web. http://linguistics.as.nyu.edu/docs/IO/29862/KashubianThesis_FINAL.pdf. Angelica, a heritage speaker of Polish, was a sophomore in Speech & Hearing Sciences, Linguistics & Arabic Studies at the University of Illinois when she wrote this text in 418, 'Language and Minorities in Europe'. 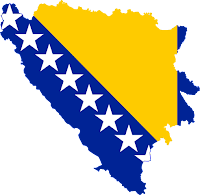 After the breakup of Yugoslavia in 1990-1992, Bosnia and Herzegovina became one of the successor states that suffered the most in the ensuing Yugoslav Wars of Succession (1990-1999). After many traumatic events, the war finally ended with the Dayton Peace Agreement, signed in Dayton, Ohio, in 1995 (Majstorovic and Vuckovac 2016). While the agreement established peace in the country and the Western Balkans, it failed to specify future domestic and international perspectives and goals for the newly formed state. The constitutional framework of the Dayton Agreement worked as an instrument to stop the war, but it had no provisions for a functional state. Today, even though Bosnia and Herzegovina is one of the Western Balkan candidate states for a potential EU enlargement, the country is far from prepared to follow EU prerequisites for future membership. One of the remaining problems is that the territory is divided into multiple cantons and state institutions that are strictly separated along ethnic lines (Busek and Kuhne 2010). In the aftermath of the war, the educational system in Bosnia and Herzegovina was marked by uncertainties and endless debates leading to an impasse. Originally, the schools were established on mono-ethnic and mono-national grounds that became unsustainable when refugees from several neighboring ex-Yugoslav states started to migrate back to their homes after 1997. After the Dayton Agreement, a new constitution was implemented, but it created a decentralized, asymmetric, and largely defective management system for education that mirrors the insoluble political situation plagued with multi-ethnic and multi-religious conflicts in major cities, such as Sarajevo, Tuzla, Mostar, and Zenice (Fox, Kreso, and Majhanovich, 2008). The new system has undermined unity in policies, goals, values, and patriotic feelings for the new state (Jozić 2012). Bosnian Croat children attended the new school, while Bosniak children were forced to be schooled out of private homes in sub-standard conditions. Upon hearing of this egregious situation, the OHR (the Office of the High Representative in Bosnia) stepped in and said that if space in the new school was available (and it was), the Bosniak children should be able to benefit from the World Bank project as well. While a good intention, the OHR underestimated the divisions in Stolac and the nationalist politics that drive the [‘hardliner’] city in Herzegovina. Rather than integrating the Bosniak children into the school, the school was essentially divided into Bosnian Croat and Bosniak sections, separating students by floor, with piles of chairs and desks serving as barriers in the corridors and with separate entrances for each group. Neither the international community nor any of the domestic leadership-governments (Republika Srpska in Banja Luka or the government of the Federation of Croats and Muslims in Sarajevo) has been able find a way out of the deadlock. The situation has had a profound impact on the fragile state of Bosnia and Herzegovina, especially on younger generations who are prevented from reconciling the past and, as the motto of the European Union would want it, live “united in their diversity”. In recent times, there have been positive developments. The Declaration on the Common Language in Sarajevo by Croatian, Bosnian, and Serbian NGOs in late March 2017 represents a new attempt at bringing together the different cultures in the region. In this Declaration, thee NGOs especially urge to silence the independent nationalisms of the three main ethnicities for the benefit of the education of new generations. The NGOs asked the authorities to consider the fact that the purportedly different Bosnian, Croatian, and Serbian languages are differentiated politically but not linguistically: despite regional differences, the three languages remain mutually intelligible and are commonly referred to as the BCS (Bosnian, Croatian, and Serbian) languages. Predictably, this request was greeted with a wide variety of emotions. Some of the political analysts and linguists in the region welcomed the proposal for a common post-Yugoslav language federating between Croatian, Bosnian, and Serbian, while others disapproved. Among the loudest opponents of this proposal seem to have been translators, whose profession may be endangered with the possible unification of the languages. In my opinion, the proposal for a common post-Yugoslav language was a remarkable step forward. It was initiated through the reasonable examination of civil societies and their immediate needs in the region and, as such, it should be welcomed and received with greater attention from the international community, particularly the European Union, as well. More precisely, EU officials could use the common post-Yugoslav language proposal as a tool for calming down nationalistic feelings and pretensions. It might be wise to envision using it as a ‘carrot mechanism’ in the EU conditionality for accession of states like Bosnia and Herzegovina. Busch Brigitta, Schick, Jurgen. “Educational materials reflecting Hetergdossia: Disidventing Ethnolinguistic Differences in Bosnia and Herzegovina”, Fond otvoreno drustvo, Bosna and Herzegovina, Sarajevo, 2012. Busek, Erhard, Kuhne, Bjorn. “From Stabilization to Integration- The Stability Pact for South Eastern Europe”, Brussels, SEETO, 2010. Fox Christine, Kreso, Pasalic, Adila, Majhanovich, Suzanne. “Living Together- Education and Intercultural Dialogue”, Springer Science+Business Media, B.V, 2009. Jozic, Zeljko. “Linguistic (Un)reality in Contemporary Bosnia and Herzegovina ”. University of Helsinki, Department of Languages. Helsinki, 2005. Majstorović, Danijela, Vučkovac, Zoran. “Rethinking Bosnia and Herzegovina’s post-coloniality Challenges of Europeanization discourse”. Journal of Language and Politics 15:2 (2016), 147–172. doi 10.1075/jlp.15.2.02maj issn 1569–2159 / e-issn 1569–9862 © John Benjamins Publishing Company. Perry, Valery. “Reading, Writing and Reconciliation: Educational Reform in Bosnia and Herzegovina”. European Center for Minority Issues (ECMI) Working Paper # 18, September 2003. Marija was a visting student in Political Science from the Master’s program in Inter-disciplinary Research and Studies of Eastern Europe at the University of Bologna in Italy when she wrote this text in 418 ‘Language and Minorities in Europe’ at the University of Illinois in spring 2017. Argentina seems like the last place you would find Welsh speakers because of how far the original homeland of the language, Wales, is from South America. However, due to mass emigrations from the British Isles in the 19th century, there has been a relatively large community of Welsh speakers in Argentina for over 150 years. 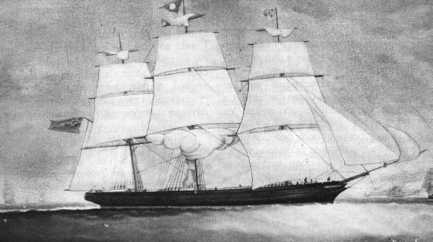 In 1865, around 150 Welsh settlers arrived in the region of Patagonia from the city of Liverpool on the Mimosa (Johnson, 2010). 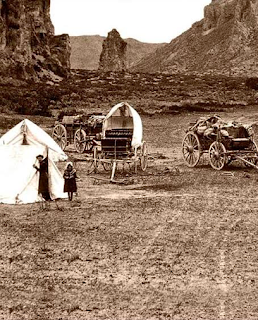 The exact number of emigrants from Wales in the early years is unknown, but many more immigrants were encouraged to settle in this new Welsh colony a decade later when the Argentine government granted the newcomers ownership of their land. But why not settle in North America where large numbers of immigrants were moving in order to gain religious freedom and chase their “American dream”? The answer to this question is that some settlers felt that Welsh immigrants in North America adapted to English too much and too quickly so they decided to move to an even more isolated area where concurrence from English was not threatening their language and culture (Tweedie, 2012). The goal was to build “a Wales outside of Wales” and gain religious freedom and freedom to use their language (Why do they speak Welsh in South America?). Settling in a new area was not an easy task. Without any knowledge of how to farm the land and, consequently, after numerous failed harvests, many settlers gave up and moved East of Argentina or to North America (Tweedie, 2012). The few who stayed found themselves rapidly outnumbered not only by Argentinians but also other immigrants. Eventually, the Argentinian government pushed for Spanish as their official language, leading to further stigma against Welsh speakers. By the 1950s, most of the Welsh speakers had given up speaking Welsh. Not only was Welsh dying out but the settlers’ traditions were also beginning to fade away. All hope was not lost, however, as in 1965, the 100th anniversary of the Mimosa’s journey sparked a renewed interest in Welsh. The Welsh revival movement was born. From then on, there were increased efforts by the Welsh population in Patagonia and also the Welsh government in the UK to reinvigorate the language and the culture in South America (Why do they speak Welsh in South America?). Today, Welsh culture and the outdoors are two leading themes of the tourism boom in Patagonia. 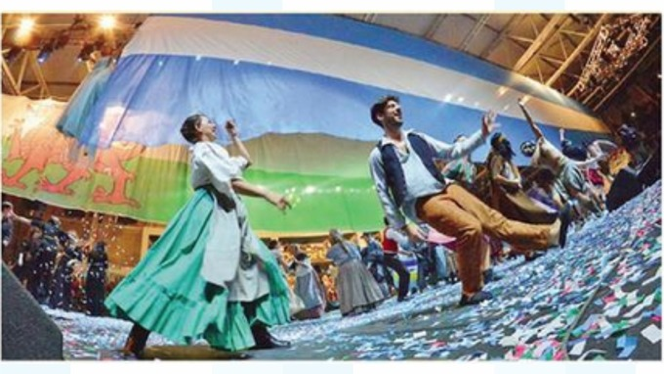 Tourism, the leading economic sector in Patagonia, has also helped efforts in maintaining Welsh. But is it enough? There have been many successful campaigns leading to the revival of Welsh, but the real question is whether or not this success can last. 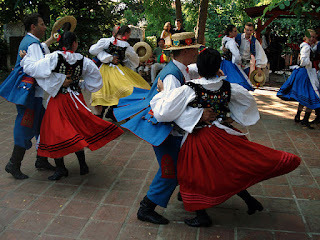 Can Welsh in Patagonia gain durable ethnolinguistic vitality? A study conducted by Ian Johnson in 2010 explored this question. The main focus of the study was tourism and the residents’ feelings towards tourism (Johnson, 2010). The study was conducted using a vitality questionnaire in the form of interviews. The participants were of a wide variety of professions from educators to shop owners. The participants were allowed to choose which language they wished to speak as well as the location where the interview was conducted. Johnson summarizes his results by saying that tourism is just one way in which Welsh can gain ethnolinguistic vitality. The reasoning behind this conclusion is that tourists are attracted to the “other-ness” of a Welsh-Argentinian identity which leads them to visit tourist sites. These tourist sites purposefully highlight cultural differences by having bilingual signs in Welsh and Spanish (see picture below), tea-shop owners dressed in traditional dresses, people speaking Welsh to tourists, and streets decorated with symbols unique to Welsh culture. Through these actions, Spanish-Welsh bilinguals can gain an economic advantage over the Spanish-speaking locals and thus preserve the Welsh language as well (Johnson, 2010). Another way in which Welsh maintains its vitality is through support from the Welsh government. In recent years, Welsh language teachers were trained to live in Patagonia for one year or even longer in order to teach people the language. In recent years, a large number of religious ministers have also relocated from Wales to Patagonia to manage church and religious affairs. Besides direct support from the motherland’s government, there has also been an increase in tourists who visited Patagonia or, conversely, moved to Wales for longer periods of time, to work or even to study Welsh (Johnson, 2010). 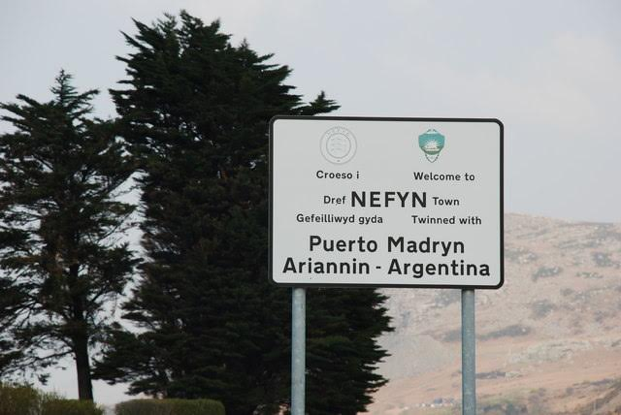 This type of transnational contact and population exchange between Wales and Patagonia also effectively increases Welsh’s ethnolinguistic vitality by showing the economic advantages that the Welsh language and culture can bring. From Johnson’s (2010) study, it seems like Welsh is in a good place and is unlikely to die out any time soon. However, things are not perfect. Many residents have also expressed concern that while Welsh now flourishes in Patagonia, it is mainly due to support and contact with Wales, the motherland in the UK. What would happen if Wales decided to stop sending their teachers or stop providing economic support to Patagonia? A number of residents in the study doubted that their distinctive culture would be able to survive without this external support. Another concern is that English has a huge influence all over the globe and Patagonia is no exception. Numerous younger residents expressed their dilemma of language learning that sounds familiar in many minority language speaking regions around the world: put more effort into Welsh instead of English or focus on the most wide-spread international language and minimize investment of time and effort in Welsh? Most Patagonians of Welsh descent believe that maintaining the Welsh language and culture is important. However, since English holds so many commercial advantages, they also believe that they must learn English first (Johnson, 2010). These dilemmas are not limited to Welsh speakers in Patagonia. As in other regions around the world that wish to maintain their distinctive cultural heritage, dependency on external sponsorship is not a viable long-term solution for preserving ethnolinguistic vitality. Kelly Mui was a senior in East Asian Languages and Cultures when she wrote this text in 418, ‘Language and Minorities in Europe’ in spring 2017. It is commonly believed in Ireland that knowing a handful of words in Irish is enough to consider oneself fluent. There is a well-established cultural pretense that "a few words will do" and only a few basic pleasantries in Irish are needed. 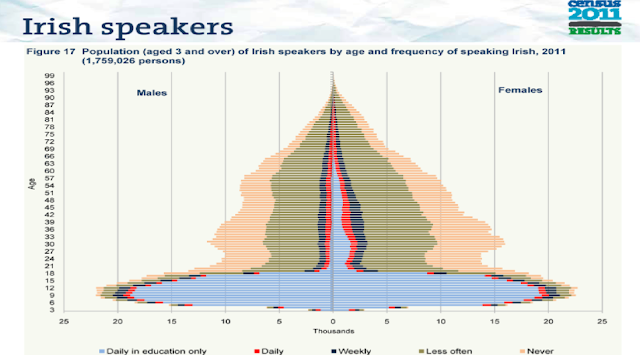 It seems that those few words are learned primarily in childhood, as the number of adult Irish speakers reporting to speak the language tends to decrease rather precipitously with age (Figure 1). Knowing no words in Irish at all can also condemn someone as a complete cultural outsider, which might bring us to conclude that the Irish language is of primary importance to its people. This assumption is correct, but it is not necessarily reflected in everyday practice. Everyday communication in Ireland has been conducted exclusively in English for at least two centuries, which led to the relative neglect of Irish. After generations of British interference, Irish had all but disappeared from public life. The events leading up to its disappearance were described by Monaghan in the late 19th century as, “the most rigorous laws [that] were enforced against the use of the Irish language [and over time] the dominant influence of the English people over Ireland resulted in the discontinuance of the Irish spoken tongue” (Monaghan, 31). Thanks to the efforts to maintain the relevance of Irish in a culture that exclusively relies on English for commerce and daily communication, the language has indeed remained a key aspect of Irish culture and identity. 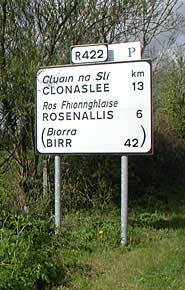 Recently, the Irish Government has made several attempts to revitalize the Irish language. The Official Languages Act of 2003, for instance, was an important step in this direction. It set out some clear rules regarding the use of Irish in public and established the Office of the Language Commissioner (Coimisinéir Teanga) that monitors and enforces the use of the language in public administration. 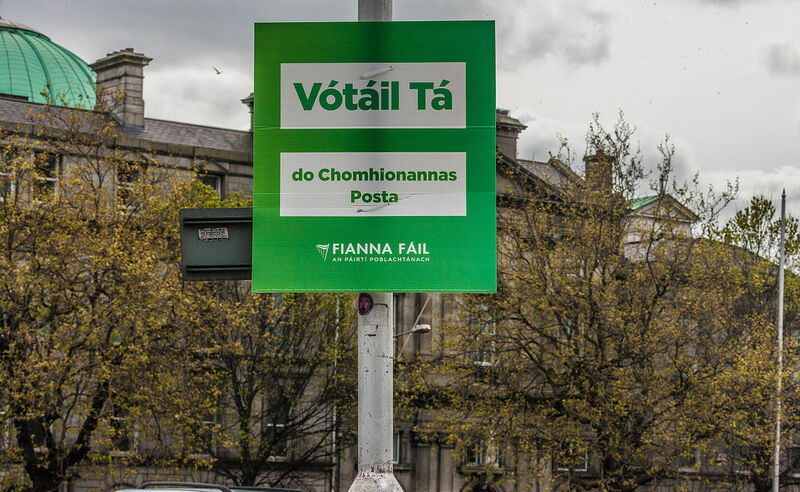 While most signage in Ireland is bilingual in Irish and English, there have been attempts to include more Irish in the media, politics and schools. 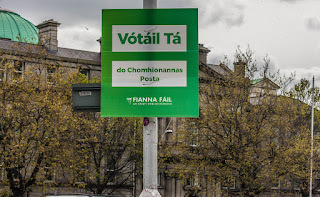 In the Irish-dominant territories of the Gaeltacht, for instance, Irish on public signs is primary while English is considered a translation (Picture 1). Irish-only signs and posters are also common (Picture 2). The Irish government’s many attempts at encouraging language learning through education were also quite successful (see again Figure 1). One such attempt was described by Thomas Sheehan in his article, “Reviving a Dying Language”. Sheehan argues that the government’s initiative to strengthen “the national fiber by giving the language, history, music and tradition of Ireland their natural place in the life of Irish schools” (Sheehan, 215) was well-received in Ireland. However, one of the immediate concerns was that “most teachers knew little or nothing of the Irish language, it was necessary to teach the teachers” (Sheehan, 215). Many more attempts have been made since the late 20th and early 21st centuries to expand Irish within the education system. The number of people capable of speaking Irish is now on the rise. 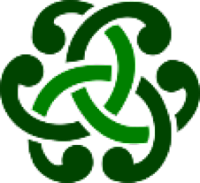 As of the 2011 census, “[t]he total number of persons (aged 3 and over) who could speak Irish in April 2011 was 1,774,437. This was an increase of 7.1 per cent on the 1,656,790 persons who could speak Irish in April 2006” (Bliain Na Gaeilge » Facts & Figures). This growth is due in large part to the inclusion of Irish as a bilingual and main medium in primary education. Irish-only sign inviting the Irish to vote for marriage equality in 2015. Despite the fact that the Irish language still nearing extinction in everyday public life, it remains a great source of pride for the Irish. It is part of their collective identity and serves as a symbolic form of linguistic rebellion against its historical oppressors. Although the revitalization effort has become a rather complicated form of cultural resistance, the Irish language has been a tether to Irish heritage and culture. Recent attempts by the government to revitalize the language have been embraced by the Irish who realize that language is part of what makes Ireland unique from its neighbors. While the belief that a few words will suffice is still common, it is starting to be replaced with a more widely spread and widely acclaimed literacy, as a new generation of Irish people have grown up. If anything, their pride and confidence may save the Irish language from being forever reduced to the status of an occasional cultural ornament. Monaghan, Charles P. “The Revival of the Gaelic Language.” PMLA, vol. 14, 1899, pp. xxxi-xxxix., www.jstor.org/stable/456448. Walsh, John. "Language Policy and Language Governance: A Case-study of Irish Language Legislation." Lang Policy. Springer Science+Business Media B.V. 2012, 24 Feb. 2012. Web. 9 Mar. 2017. Laura Ther was a senior in Political Science at the University of Illinois when she wrote this text in 418, ‘Language and Minorities in Europe’. Laura was planning on going to Law School and was interested in International and Constitutional Law.